Can I file RTI to Mumbai Metropolitan Region Development Authority? Can I apply RTI to Bangalore Development Authority (BDA)? How can I apply RTI to Delhi Development Authority (DDA)? Can I file RTI to Slum Rehabilitation Authority, Mumbai? I want to file RTI to Department of Planning & Development Jharkhand. Can I apply ? 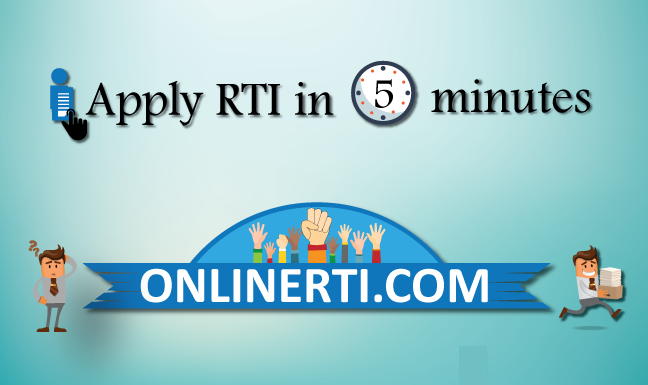 Can I apply RTI to Projects and Development India Limited [PDIL] ? Yes, you can file RTI Mumbai Metropolitan Region Development Authority (MMRDA). MMRDA is a body of the Government of Maharashtra responsible for the infrastructure development of the Mumbai Metropolitan Region. It was established in accordance with the Mumbai Metropolitan Development Act, 1974, on 26th January, 1975. Hence, MMRDA is a "Public Authority" as per Section 2 (h) of the RTI Act and falls under its ambit. You can file RTI Application to MMRDA by addressing the same to the designated "Public Information Officer (PIO)" and by paying the prescribed fee.